With nearly half of the city’s non-sworn employees expected to reach retirement age by 2018, two Los Angeles City Council members Tuesday sought ways to reduce the potential impact, including the use of technology to recruit new workers. Councilwoman Monica Rodriguez introduced a motion asking for the Personnel Department and the Information Technology Agency to report on electronic tools and technologies that are available to improve the city’s recruitment and civil service hiring processes. Councilman Paul Koretz introduced a motion that would instruct the Personnel Department to report to the City Council within 45 days with an overview of succession plans in all city departments, and to highlight areas of concern. “The city needs to take full advantage of the technological resources available in order to compete with other employers, and to process the volume of hires necessary to resupply the city with an effective workforce,” Rodriguez’s motion states. City Controller Ron Galperin reported in 2015 that the number of retirement-eligible employees will grow to 13,794 by 2018, which is about 46 percent of the total civilian workforce. The number does not include police or firefighters. City workers can retire at age 55 if they have been with the city 10 or more years, or at 60 years old if not. The largest number of retirement eligible employees will be in the Public Works and the Water and Power departments, as 2,221 Public Works workers will be eligible to retire by 2018 and the DWP will see 4,336 of its workers reach retirement age. “While we’re in danger of losing the expertise that so many of our experienced employees have developed over the course of their careers, we also have the chance to develop skills and mentoring programs to ensure that the city workforce is equipped to meet the needs of tomorrow,” he said. In response to the report, Mayor Eric Garcetti issued an executive directive requiring that general managers of all city department make full succession plans by January 2018. Koretz’s motion, which notes the executive directive, would direct the Personnel Department to report to the City Council on all of the succession plans that have been developed to date, along with recommendations that will ensure development of a pool of qualified candidates for key positions. Bell Gardens is the latest in a growing list of cities moving to make parks and recreation areas off-limits to smoking. Under a new policy tentatively approved Monday by the city council, smoking of traditional tobacco products, e-cigarettes and marijuana would be prohibited. The council voted unanimously to adopt the policy, however, before it can become official, the law requires a second reading and vote, which is scheduled to take place at the city council’s meeting on Sept. 11. According to Mendoza, secondhand smoke is the 3rd leading cause of preventable death in the United States. 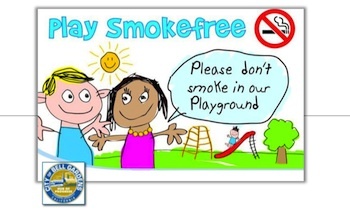 The city currently only enforces a state health and safety code that prohibits smoking “in and within 25 feet of any playground or recreational area specifically designed to be used by children,” and “in and within 25 feet of any public building,” according to a Bell Gardens staff report. Several residents and representatives of the American Lung Association spoke in support of the ordinance during public testimony Monday. In a statement Tuesday, the Lung Association applauded the council for its action. Yi was referring to efforts by local high school students to bring the anti-smoking issue to the public and to encourage city officials to take action. “A smokefree parks policy is important to me and my community because it will make for a safer and more enjoyable experience for myself and for others,” said Kimberly Gonzalez, a senior at Bell Gardens High School. According to the Lung Association, exposure to any level of secondhand smoke is harmful. In 2006, the California Air Resources Board (CARB) officially declared secondhand smoke a Toxic Air Contaminant and the United States Surgeon General issued a landmark report concluding that there is no safe level of exposure to secondhand smoke. Policies to limit smoking in parks and recreation areas vary from city to city, and in some cases do not exist. Data from the Lung Association shows this to be true among the cities neighboring Bell Gardens. According to the data, neither Bell nor Montebello ban smoking in city parks, while Commerce restricts smoking at its parks to designated areas, as does the city of Los Angeles. In unincorporated areas of Los Angeles County, including East Los Angeles, smoking is 100% prohibited. “Recognition that secondhand smoke is extremely toxic has bolstered efforts by local elected officials across the state to take action to protect their residents from exposure,” said the Lung Association, which cited additional efforts to “protect” residents by prohibiting smoking in other public areas, such as entryways around businesses and other areas where people congregate. 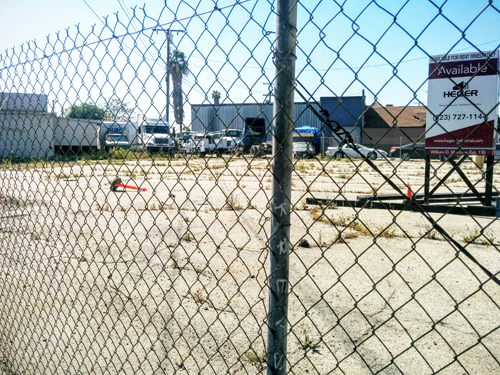 When finalized, Bell Gardens’ ordinance will also prohibit smoking in city buildings and facilities, including parking lots and alleys, and at all city-sponsored events. Violations of the smoking ban could result in a misdemeanor charge, or reduced to an infraction by the city attorney or city prosecutor. A first time infraction carries a $100 fine; second violation $200; and $500 for the third violation in a 12-month period. Members of the Los Angeles Department of Water and Power’s most powerful union will see a significant bump in pay, with the City Council’s approval Wednesday of a new contract for the International Brotherhood of Electrical Workers Local 18. The deal was approved 11-3 despite three council members’ objections to the speed with which it came to the council for a vote, having skipped a committee hearing after the Board of Water and Power Commissioners approved the contract last week. Councilmen Mitch O’Farrell, David Ryu and Mike Bonin, who cast the dissenting votes, said they felt the process lacked transparency. “The approval of this plan without greater discussion, public outreach or deeper analysis undermines the public’s trust in their local government,” Ryu said. “I’m disturbed, as are a few others, by this process, and there is still information I feel I don’t have,” Bonin said. Councilman Joe Buscaino, who ultimately voted for the deal, also said he learned of the contract details through the media. “This process stunk. One cannot assume approval of a contract without proper vetting. We heard about this contract through a number of media reports. In the five years I’ve been here through city contracts, my office and myself were at least briefed on what to expect,” Buscaino said. The deal, which has the support of Mayor Eric Garcetti, continues the practice of union workers not contributing toward their health care costs — a benefit not enjoyed by all city workers. The new contract has been criticized by some as being too generous — to the point that it could cause other city unions to ask for raises — as well as for being fast-tracked to a vote. The contract gives six raises over five years for the IBEW Local 18’s 9,000 members at a total rate of about 13 percent to 22 percent, depending on the consumer price index. It also ends the union’s $4 million controversial annual contribution to two nonprofits, the Joint Training Institute and the Joint Safety Institute, which have been heavily criticized due to a lack of transparency as to how they were spending and tracking the money. The contract will cost an estimated $56 million annually, but will not impact the city’s general fund as it will be funded via adjustments to the LADWP’s budget, according to an LADWP commission memo. Fred Pickle, executive director of the LADWP’s Office of Public Accountability, said because the department routinely comes in under budget each year, the raises would not likely result in higher rates for customers. When Garcetti ran for mayor in 2013, one of his chief issues was a promise to bring sweeping changes to the LADWP. That pledge made him an enemy of the IBEW, which spent $2 million supporting his opponent, then-City Controller Wendy Greuel. Once elected, Garcetti blocked the approval of a four-year contract with the IBEW so he could renegotiate a new deal that resulted in no raises for the union. “Public unions are major donors to City Hall political campaigns, so perhaps it should be no surprise if elected officials are reluctant to drive a hard bargain. But this contract could sure use more analysis and public debate,” the Los Angeles Times Editorial Board wrote while also criticizing Garcetti for not driving a harder bargain this time around after his landslide re-election in March. Interim Chief Administrative Officer Rich Llewellyn said the deal was not a template for future deals with other unions and contended the raises are needed to keep LADWP workers from leaving to work for other cities. An audit of the LADWP released earlier this year by City Controller Ron Galperin found that the utility spends about $40 million a year on apprenticeship programs that only graduate about 51 percent or fewer of their enrollees, and that many of the graduates go to other utilities to get better salaries. Llewellyn said the elimination of the payment to the two institutes was a big win for the city. The City Council’s Housing Committee instructed staffers Wednesday to report back on how much Mayor Eric Garcetti’s earthquake retrofit proposal will cost Los Angeles tenants and landlords. Garcetti in December unveiled a plan that called for requiring certain older homes to be reinforced against earthquakes. The proposed mandates would apply to soft-story apartments, which are built atop carports, and brittle concrete buildings, constructed prior to 1980, when the city began requiring earthquake reinforcements on new construction. City officials will also look into a statewide program that could provide loans to property owners to do the retrofit projects. The issue is scheduled to be discussed again in 30 days in the Housing Committee. 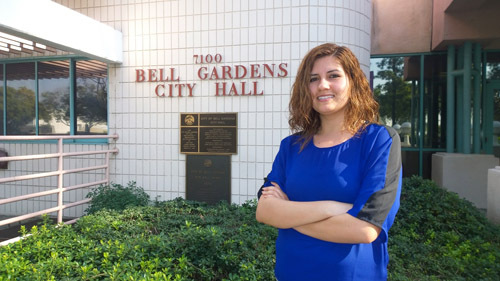 Bell Gardens residents will have a special opportunity to meet the newest member of the city council next Monday when Maria Pulido is sworn in during the council’s annual reorganization ceremony when council titles and assignments for the year ahead are made. Pulido was appointed Nov. 23 to fill the seat left vacant by the death of mayor Daniel Crespo, fatally shot Sept. 30 by his wife during a domestic dispute at their Bell Gardens home. At just 24 years of age, she is the youngest woman to ever serve on the council. EGP spoke with Pulido this week to get her view on the job ahead. For some, the death of the popular mayor has left a void on the council, but Pulido told EGP her job isn’t to do everything as Crespo would have, but to find her own voice when dealing with city issues. Pulido has only attended two council meetings so far so it may still be too soon to tell, but the political novice says she doesn’t shy away from controversies and has no qualms about asking questions when something’s not clear. “I’m comfortable with the idea that there are no dumb questions,” she said. In her view, asking questions publicly keeps residents from thinking the council votes blindly on whatever goes before them. Being seen as independent is important to Pulido. She says council decisions affect the city’s 52,000 residents, so she has to speak out if she disagrees with staff or her fellow council members. “I’m not going to vote one way just because I don’t want to disagree with four other people,” she emphasizes. Pulido says she’s been spending time reviewing past staff reports with City Manager Phil Wagner to help her get up to speed on the city’s finances and her role on the council. Those political rivalries have at times erupted during city council meetings, with residents accusing council members of corruption and heated debates and finger pointing between council members, especially if it’s election season. Those outbreaks are less common these days, but Pulido tells EGP she is prepared to not take the attacks personally if it happens again. She wants to be seen as transparent and reliable and says she will refrain from making promises she can’t keep just to make someone feel good. In a city where it is not unusual for council decisions to be met with suspicion, Pulido’s appointment has drawn little reaction from the city’s usual vocal galley of critics, especially surprising since Pulido works at the Briarcrest Nursing Center in Bell Gardens, the same facility where Councilwoman Jennifer Rodriguez is employed. Wagner tells EGP those who tend to be vocal may simply have no reason to complain. “Maybe people are pleased with her appointment, and have no issue,” he said. Pulido has already met with the Neighborhood Watch, Bell Gardens High School students, Congresswoman Lucille Roybal-Allard and residents at local events, such as “posadas” and other Christmas programs, and will soon go on a ride-a-long with police to learn more about crime in the city. She says she also hopes to meet with Montebello Unified School District officials, since Bell Gardens youth attend MUSD schools. At last week’s meeting, the new councilwoman was attentive, taking notes on comments made by staff and concerns raised by residents. “A lot of people expect me to be nervous,” but the city’s “staff has really made me feel comfortable and prepared,” she points out. Pulido is working on her Masters Degree in social work at Cal State Long Beach, something she says goes hand in hand with government. She says her priorities are public safety and ensuring the city balances its budget, which according to Wagner will mean continuing to address the ongoing fallout from the dissolution of the city’s redevelopment agency, unsustainable water rates and the economy in general. Pulido says neither her young age nor status as a full time student will prevent her from doing her job on the council, and might actually come in handy. Six candidates will vie for two City of Commerce Council seats in the March 2015 Municipal Election, the city has confirmed. Councilman Joe Aguilar is not seeking reelection, making Councilwoman Denise Robles the only incumbent on the ballot, however, longtime former council member Hugo Argumedo has thrown his hat into the ring. Robles, who is seeking her second term, has often been at odds with her colleagues on spending priorities and other issues, but she told EGP she is eager to continue representing the city where she has lived her entire life. The city needs to attract more businesses to Commerce and more work on improving the city’s appearance is needed, she said, detailing her priorities for a second term if reelected. Aguilar’s exit from the race has opened up opportunities for other candidates, including some who have been active in the city in various ways for years. Aguilar told EGP that at age 72, and after two terms on the council and three stints as mayor, he is ready to move on. He will continue his support of the city, but from another angle, he said. “Being a councilmember takes a lot of time and I need more time for myself and my wife,” Aguilar told EGP. He said he needs to spend more time caring for his wife who has some medical issues. However, he’s not leaving without first staking a preference in the race to succeed him, or perhaps replace Robles. He has publicly endorsed Sonia Rodriguez in the upcoming election. Rodriguez is senior administrator of American and Ethnic Studies at USC and has served as a member of the city’s committee on Measure AA, charged with making recommendations on spending of revenue from the special tax approved by voters. Aguilar said 51-year-old Rodriguez is “very responsible” and committed to the city. According to Rodriguez, she supports improving the city’s use of technology. She thinks Commerce should install more surveillance cameras around the city as a tool to reduce crime, and invest more in the city’s infrastructure. She told EGP’s she’s “blessed” to have earned Aguilar’s endorsement and to have Mayor Pro-Tem Lila Leon guiding her candidacy. “I believe in clean air, in clean water and educational purposes,” she said, adding she plans to go door to door to hear from residents what they want from the city. Also on the ballot is John Soria who says he is a lifelong resident of the city. He works as a law enforcement technician with the Sheriff ‘s Department. Soria told EGP he is running because he thinks it’s time for a change. He said he came to that conclusion after watching the ongoing fighting between current members on the council. “I possess the ability to engage and be responsive to both our community and our council members in order to move our city forward,” Soria told EGP, citing his “extensive experience” acting as a liaison between the public and law enforcement personnel. Oralia Rebollo, 35, was also born and raised in Commerce, and says she has been thinking about running for the council since 1998 when she took part in the city’s Student Government Day. “Some of my priorities, once elected, are establishing family based programs, promoting community health, improving air quality and strengthening the City’s relationship with the business community,” she told EGP. Former Councilman Hugo Argumedo may have the most name recognition in the race. His decision to run again, after being forced to resign back in December 2010 as part of a plea bargain agreement made after he pled guilty to obstructing justice, was not unexpected, according to some city insiders who wanted to remain anonymous. Prosecutors said Argumedo signed a false affidavit as part of a civil lawsuit between the city and former City Attorney Francisco Leal. As part of the plea deal, Argumedo was prohibited from holding public office for three years. When he resigned, Argumedo admitted “regret” over his actions, EGP reported at the time. Argumedo was first elected to the city council in 1996. He cites among his accomplishments the opening of the Crown Plaza Hotel, the purchase of the Citadel Outlet stores, creation of the Education Commission, and the restructuring of the Commerce Scholarship Program. In his biography, Argumedo says he is a strong advocate of community-based policing and Neighborhood Watch programs. He has also been a member of the Model City Democratic Club of Commerce, the Commerce Sister City Association and the Rosewood Park Elementary School PTA. EGP could not reach John Diaz in time for this article. The election will be held on March 3, 2015.